Most of this is probably of interest to folks that work with facial anatomy: such as ENT’s – Ear Nose Throat surgeons, facial plastic surgeons, cosmetic surgeons, and those who work around the face all the time such as dermatologists, and cosmetic injectors who perform Botox and dermal fillers. These are notes that I took for myself while reviewing some head and neck cancer issues. 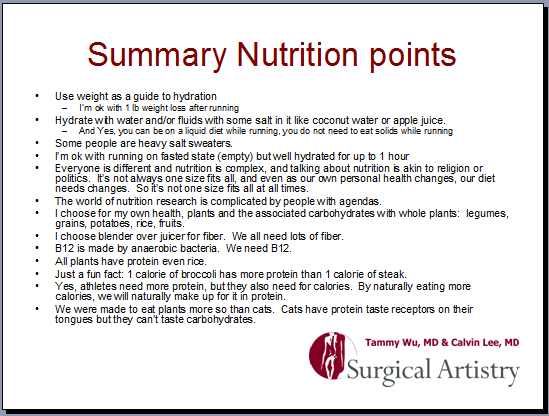 Keeping up to date and reviewing medical knowledge is important for my – Calvin Lee, MD – surgical practice in Modesto, CA. Surgical Review: Sistrunk Procedure (of which I’ve done a few in my career) and some with assistance from my expert Modesto surgeon friend Dr. Suntra (ENT/facial plastic surgeon) is used for the removal of thyroid glossal duct cysts and involves the cyst removal in continuity with the tract, central portion of the hyoid bone, and tissue above the hyoid bone to the base of the tongue. This procedure is usually considered adequate for a finding of a well differentiated papillary carcinoma of the thyroid. Surgical Review: FNA (fine needle aspiration) is considered first line for tissue diagnosis for a solitary neck mass suspicious for metastatic squamous cell carcinoma. Surgical Review: Consider tonsils when finding a non-obvious source of metastatic squamous cell carcinoma in the upper neck. Surgical Review head and neck cancers: Metachronous means occurring at different times, as opposed to synchronous (at the same time). My personal Surgical Review: Lateral Aberrant Thyroid is a lymph node metastasis from papillary thyroid carcinoma. Consider the surgery of: total thyroidectomy with a neck dissection ie. central compartment. My personal Surgery Review: Papillary Cystadenoma Lymphomatosum (Warthin’s Tumor) is a benign salivary tumor (like pleomorphic adenoma), which is usually in the Partoid gland. Treatment is excision with superficial (lateral) parotidectomy or total parotidectomy (which preserves the facial nerve) depending on location of the benign tumor. Enucleation is contraindicated due to recurrence. Just some personal notes for Calvin Lee, MD Modesto, CA. No medical advice here. This entry was posted in Cancer, General Surgery, Head and Neck and tagged neck cancer, neck triangles, sistrunk, thyroid cancer, tonsils, warthin's tumor on September 8, 2013 by Calvin Lee, MD. The rind is eat by itself or the whole fruit can be eaten. Antioxidants – protect from cancer, aging, inflammation, degenerative diseases, diabetes. We own a Kumquat tree in our Modesto home’s backyard, and we believe it to be a source of good fortune and good health for us. It is quite pretty to look at as well. Our tree is a Miewa tree. The picture above was taken around the end of January 2013. This entry was posted in Cancer, Modesto, Wellness and tagged Kumquat, miewa on May 25, 2013 by Calvin Lee, MD.